Last Saturday was a big day for our family. 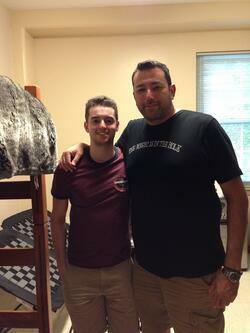 My son Jerrod moved into Vanderbilt University. For the last couple of weeks, Jerrod and I have been driving around picking up things for his dorm; sheets, towels, and microwave just to name a few. Vanderbilt has the move in process down to a science. You pull into a parking lot and are directed to the line for your dorm. I felt like we were going to Hogwarts as we were directed to the Sutherland Dorm line. After about a fifteen minute wait, the lines started to move. We pulled up to his dorm and in about sixty seconds flat a team of co-eds unloaded our vehicle and whisked away his belongings to his dorm room. Jerrod and I spent the next few hours unpacking, while his sister, mom and my girlfriend helped. OK. They offered more verbal than physical help. Pictures Below: Jerrod getting into his room for the first time (while his sister photo bombed) and Jerrod and I after the hard work was done. As much planning as we did in advance, there were still things to be purchased. Jerrod and I sent the girls home, while we grabbed lunch and hit target for extension cords, bins and bulbs. Target was an absolute mad house. College move in day is Black Friday for Target and maybe a few other retailers. I do remember the Target near Vanderbilt ordering in lunch for their crew on move in day. So file this article away for next year, if there’s a college campus near you. 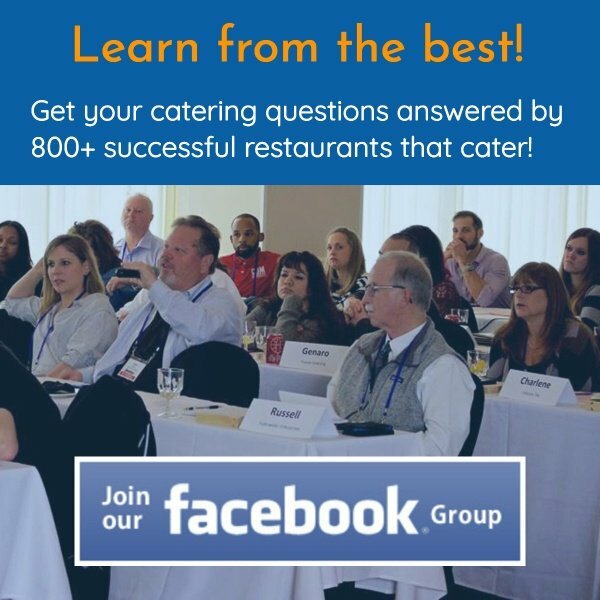 Approach the store manager four to six weeks before move in day about your catering services. The easier you can make it, the better. Offer complimentary delivery and set up. I would lend them my insulated containers to keep the food to temp for such a large group. 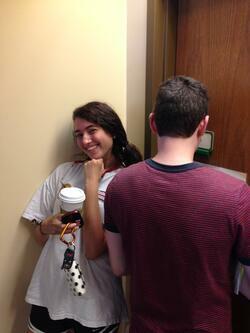 After our Target run, we returned to the dorms and met his roommate. Luckily his roommate went to summer camp with a lot of Jerrod’s friends, so it appears he picked a good one. I helped the boys loft their beds, arrange furniture and assemble a television stand. By the time we had that done, families returned for a school sponsored barbecue. Over three thousand people were fed pulled pork, chicken, coleslaw, assorted salads, marinated tofu (the college is a little on the liberal side), watermelon and ice cream. That even was a big payday for one lucky caterer. Which brings me to another school catering niche: back to school gatherings. From elementary schools to colleges, most educational institutions hold some type of welcome back event. It can be as simple as an ice cream or dessert reception, to as fancy as a barbecue or dinner. Though this opportunity has probably passed you by this year, please make sure and add it to your marketing game plan for 2015. The perfect target is someone you know is buying at a particular time. This takes most of the guesswork out of the equation. Just assemble or rent a list of all the schools and colleges in your area and focus on the decision maker. A combination of direct mail, phone calls and personal visits will give you a new catering income source. 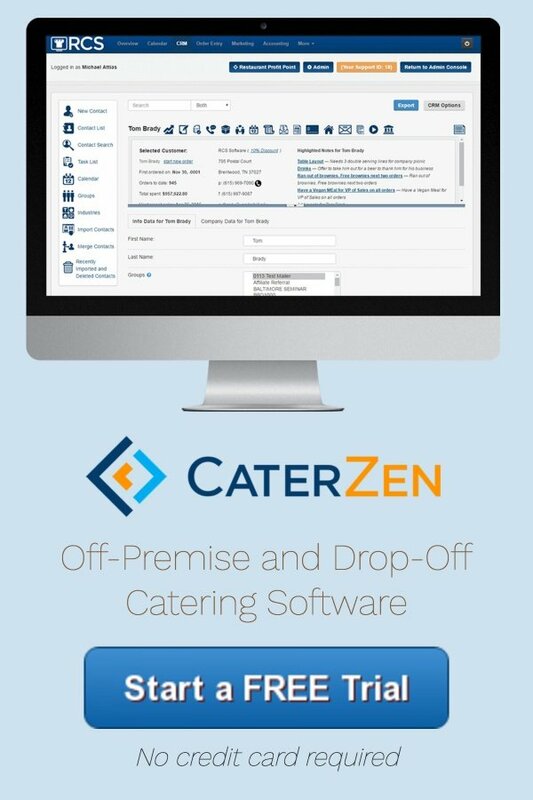 Our catering software has a CRM that makes keeping up with groups a snap. You can even send personalized one page letters to any one contact or all members of a group. Just write the letter, select the recipients and hit send. RCS does the rest while you sleep. Though Jerrod is all moved in, by job isn’t done. I need to swing by the dorms to drop off lights, dry cleaning and help exchange a broken couch to Target.